Apple, Amazon, Netflix, Google and Samsung placed among the top brands in a new survey from global consultancy firm Prophet. 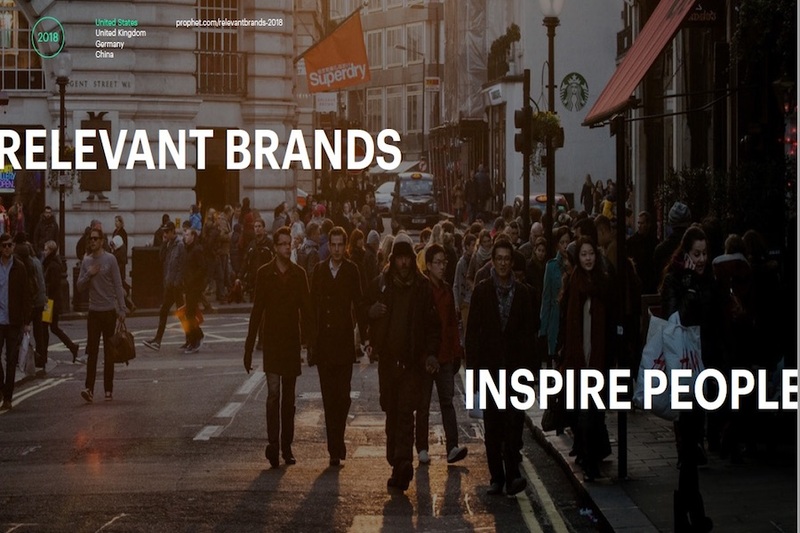 The firm released its fourth annual Brand Relevance Index, in which it surveyed 12,694 consumers in the United States across 299 brands in 37 categories. The top 10 in order were Apple, Amazon, Pinterest, Netflix, Android, Google, Samsung, Kitchen Aid, Spotify and Nike. Among the top 25, media and entertainment companies included YouTube (No. 12), PlayStation (No. 13), Disney (No. 14), Pixar (No. 15), Sony (No. 21) and Xbox (No. 25). Apple, Netflix, Pinterest, Amazon and Android were the top brands, in order, among females. Amazon, Apple, PlayStation, Spotify and Samsung, in order, were the top brands among males. Among millennials, the top brands, in order, were Netflix, Amazon, KitchenAid, Apple and Google. Among non-millennials, top brands, in order, were Apple, Amazon, Pinterest, Android and Netflix. Facebook (No. 205) was the “biggest mover” in the negative direction.